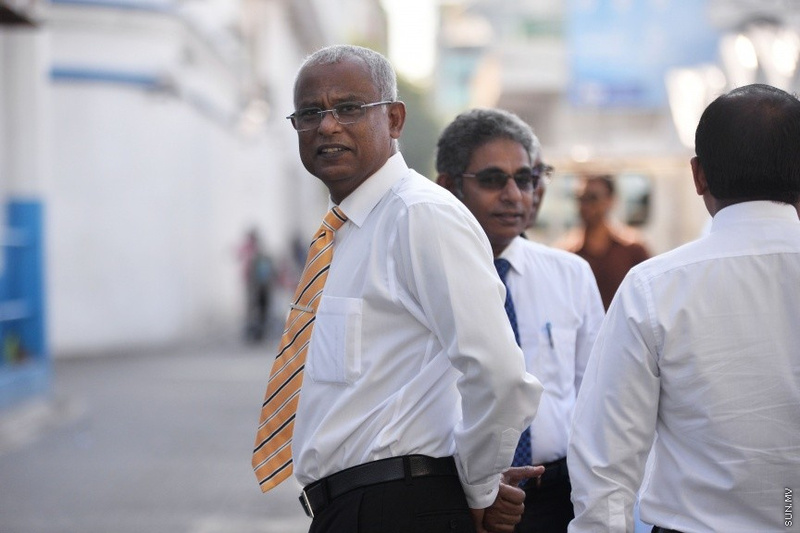 The obstruction of a police officer case against leader of opposition Maldivian Democratic Party (MDP)’s parliamentary group, Hinnavaru MP Ibrahim Mohamed Solih (Ibu) has been sent to Prosecutor General’s Office. “Sun” has been informed the case against Ibu was submitted to the PG Office last Sunday. The police allege Ibu lead a group of people into the cordoned Republic Square area and into the green zone on the night of March 16, pretended the government has been overthrown, gathered a crowd of citizens into the area through trickery, forced the loss of control by police and military, and attempted to create unrest. Ibu was arrested at approximately 10:45 pm on March 16. The 9-day remand Criminal Court has granted for his detention runs out coming Wednesday. The police have requested Ibu be charged under Article 532 of the Penal Code (obstruction of a law enforcement officer) and Article 533 of the Penal Code (obstruction of the justice). 141 protestors were arrested from the demonstration by the opposition in Male’ City on March 16. Many of them have since been released.